In a region noted for progress, Gainesville-Hall County is served by three outstanding institutions of higher learning with countless others within an hour’s drive. 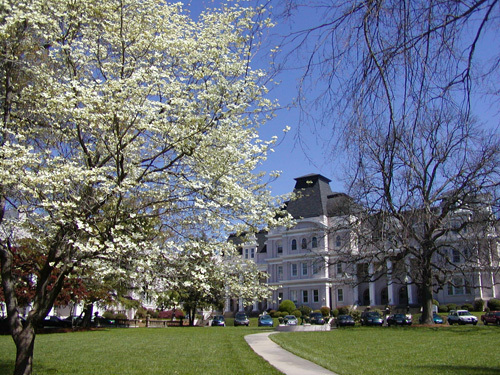 Founded in 1878, Brenau University is a private, not-for-profit institution of higher education that enrolls students in graduate, undergraduate and doctoral studies on campuses and online. 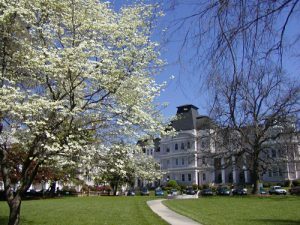 Gainesville-based Brenau includes the residential Women’s College and offers doctorates in nursing, occupational therapy and physical therapy, a terminal M.F.A. in interior design, specialist in education, master’s, bachelor’s and associate’s degrees as well as professional certifications. Brenau possesses an extensive and distinctive permanent collection of art and presents year-round programming that includes art exhibitions, lectures, debates and literary readings, and theatrical and musical performances. The University of North Georgia (UNG) is positioned in the fastest-growing region of the state with four campuses united by a single mission focused on academic excellence and academic and co-curricular programs that develop students into leaders for a diverse and global society. One of only six senior military colleges in the nation, the UNG is designated as a State Leadership Institution and as The Military College of Georgia. With over 18,000 students, the UNG is the state’s seventh-largest public university. The university offers more than 100 programs of study ranging from certificates and associate degrees to professional doctoral programs. Lanier Technical College, a unit of the Technical College System of Georgia, offers technical certificates, diplomas, and two-year degrees. In addition, the college also serves over 15,000 students in Economic Development Programs and Adult Education. The college has five campuses located throughout Northeast Georgia and is the foremost provider of workforce development services in the area. The main campus in Oakwood is host to Georgia’s Center of Innovation for Manufacturing, offering customized training using the latest in advanced and automated manufacturing technology. A new campus is under construction on Hwy 365 in Hall County and expected to open in fall 2018. The college also offers GED and ESL training and testing through its Adult Education department, which helps thousands of students acquire high school diplomas every year. Interactive College of Technology in Gainesville has served the community for 12 years offering diplomas in Business Information Management, Automated Office Systems, Accounting, and an Associate of Science degree in Office Technology. The college celebrates 30 years of educating students in the occupational arena as well as providing English as a Second Language diplomas to students from over 100 different countries. Most recently, the college developed GED course work to aid in students successfully earning their GED.